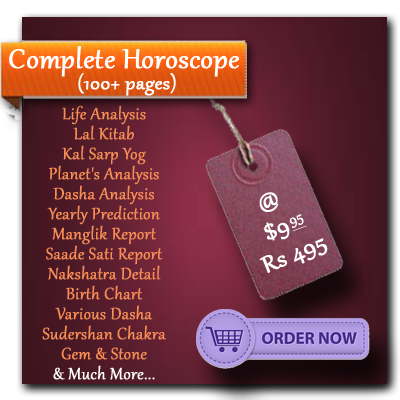 »BASIC DETAILS: Birth time in Ghati, Sunrise, Sunset, Bhayat, Bhabhog, Balance of Dasha, First name of alphabet, Avakhada Chakra, Ghat Chakra, Lucky Day, Stone, Number Etc. »PLANETS POSITION: Position of Planets at the birth time with sign, degree, star, lord Etc. »KARAKA & AVASTHA: Details of Karaka & Avastha of the planets and Tara Chakra. 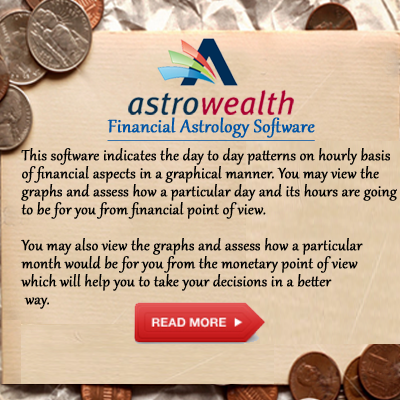 »BIRTH CHART: It outlines family, spouse, children, personality, wealth, comforts, education, income Etc. All other charts are derived from it. »OTHER CHARTS: Moon Chart, Navamsa, Bhava Chalit, Shodash Varga Chakra (Dreshkana, Chaturthamsa, Dwadasamsa, Shodasamsa etc). »VIMSOTTARI DASA: These periodical tables gives the analysis of precise period of events to come. »OTHER DETAILS: Ashtak Varga Table, Shodash Table, Friendship Table Etc. »VARSHPHAL ANALYSIS: Predictions commencing from the moment the Sun returns to the natal position in a particular year. 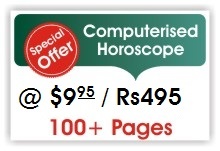 HOROSOFT also generates "Mudha Dashas" which are a part of varshphal. HOROSOFT has the provision to calculate the varshphal Analysis up to 2049 A.D.
»PLANET ANALYSIS: This provides a macro view of the future as well as the general characteristics of a person. The influence, placement and ownership of all the planets are detailed out telling a person how they have shaped his/her destiny. »DASA PHAL: This provides life long predictions based on Mahadasa and Antardasa. »SADE SAATI: Sadesaati prevails over a period of seven and half years and comes into effect when Saturn enters into a specific position in transit which has a direct impact on the life of a person. 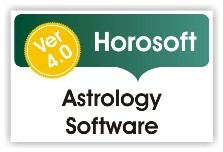 Horosoft calculates various dates when Sadesaati comes into effect, its duration and influence on the life of a person. It also suggests remedies to minimize adverse effects thereof. »LALKITAB: This Provides remedies of various problems as suggested in LalKitab which has got its acceptance amongst people. »STONE REMEDIES: Problems related to human life are categorized and each problem has its remedy derived by wearing specific stones.